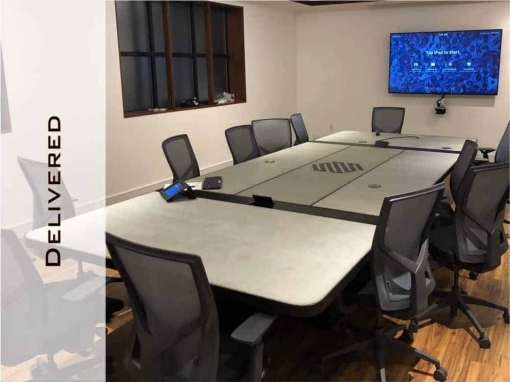 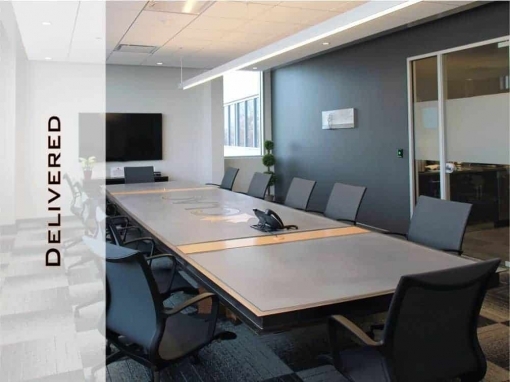 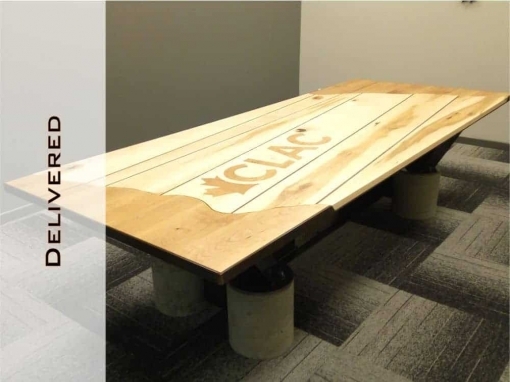 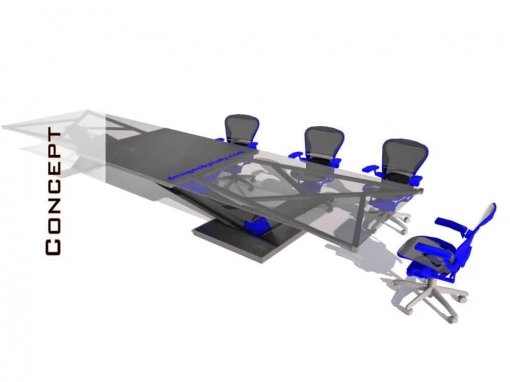 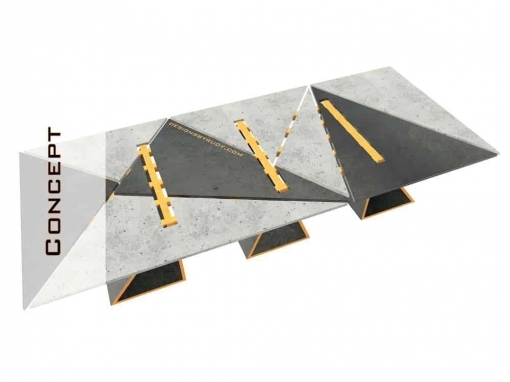 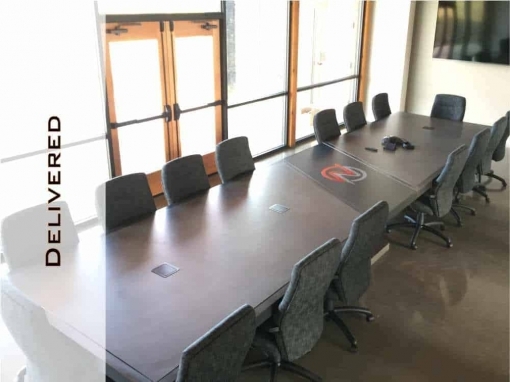 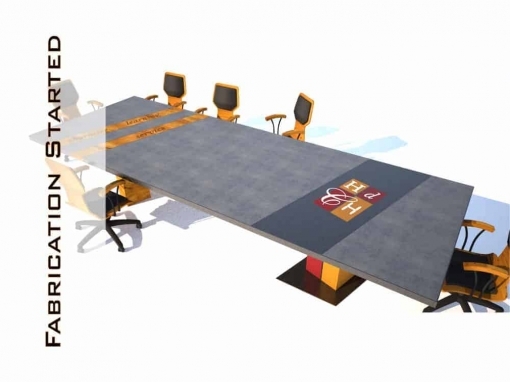 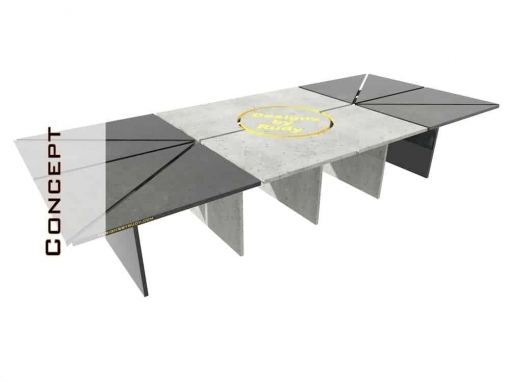 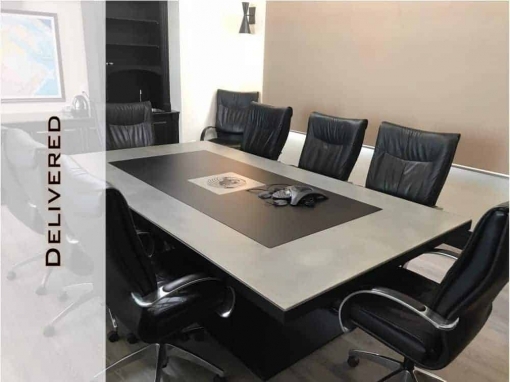 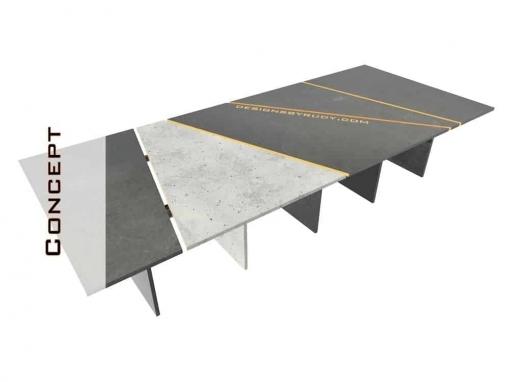 This concrete conference table hasn’t found its owner yet, would you like to become one? 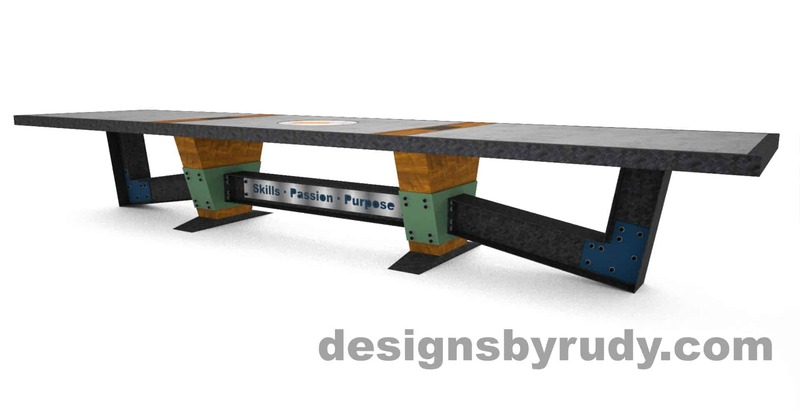 Everything can be customized. 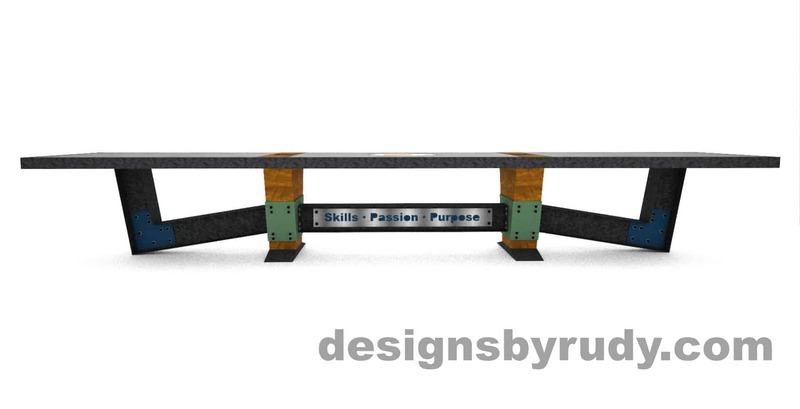 I designed it for a client but we didn’t finalize the process, so, it’s been sitting on my computer and I decided to share it. 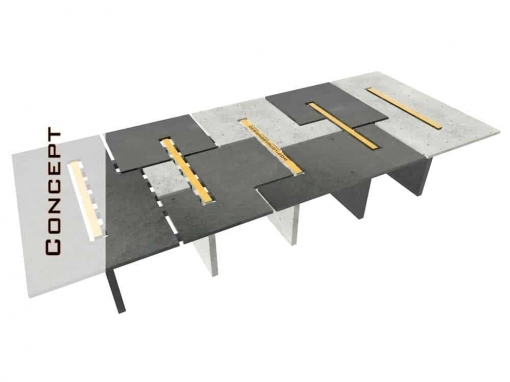 There are two main table supporting legs made of wood vernier plywood and solid wood. 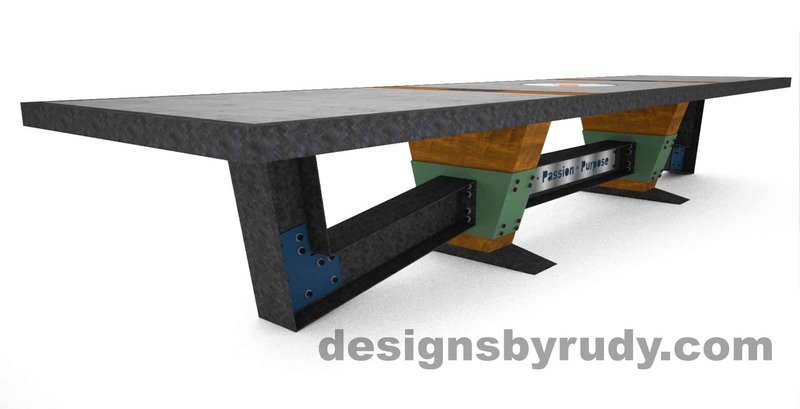 All attached to steel frames hidden behind. 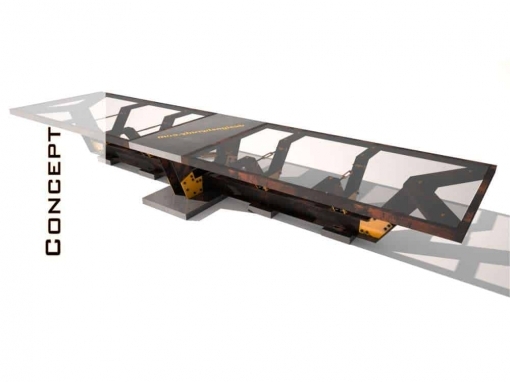 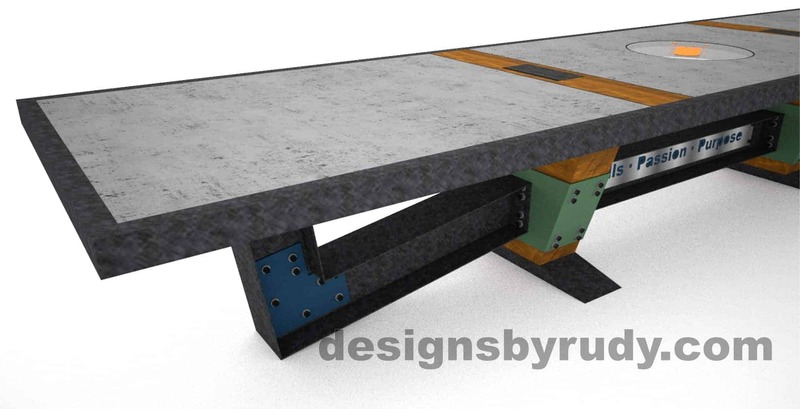 Additional support comes from large I-Beams bolted to the wooden legs and table’s top frame. 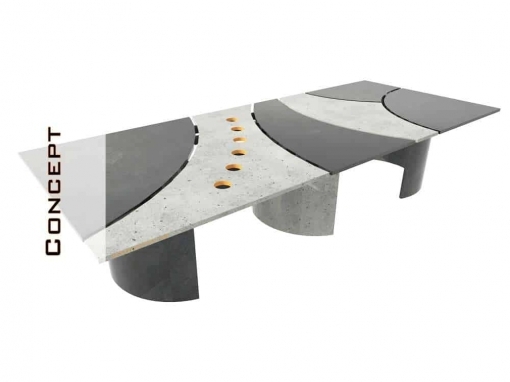 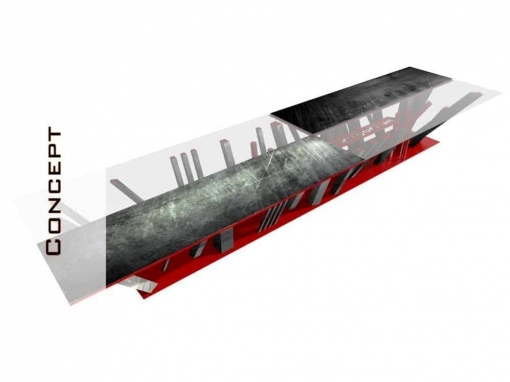 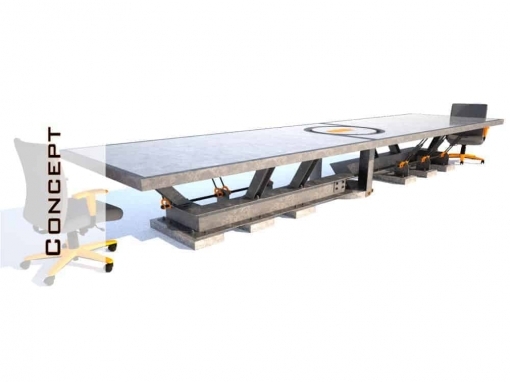 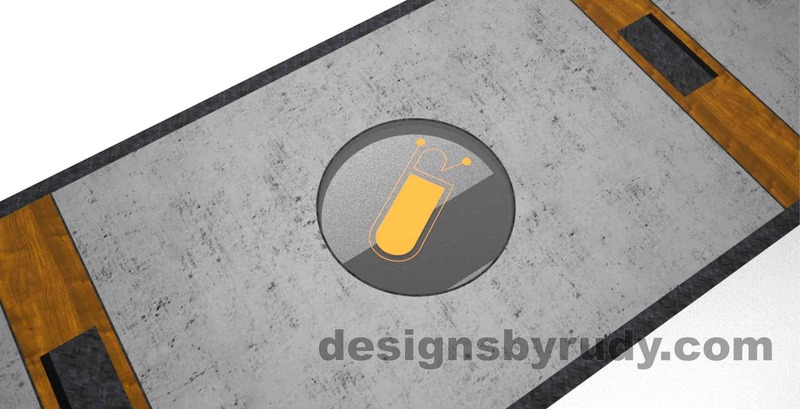 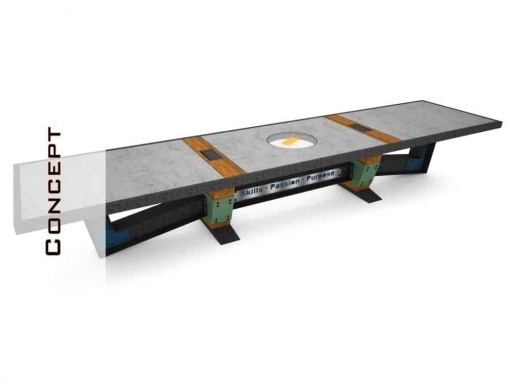 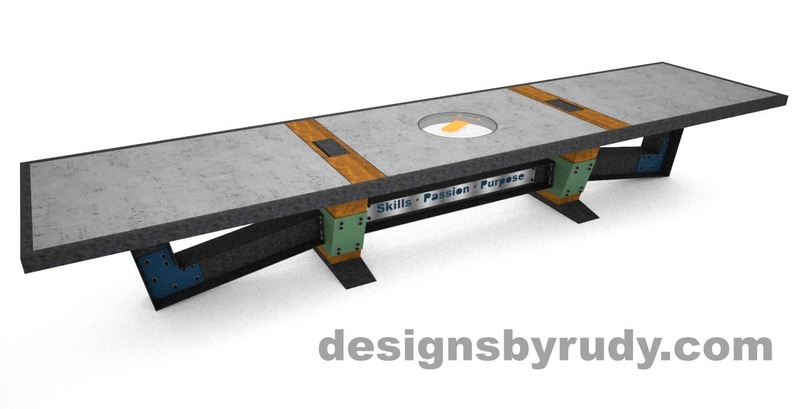 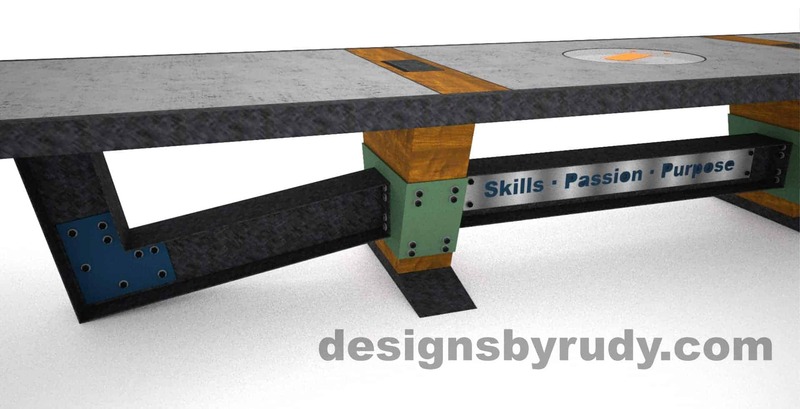 Concrete table top is divided into three pieces with wooden planks, each plank has a built in AV ports box. 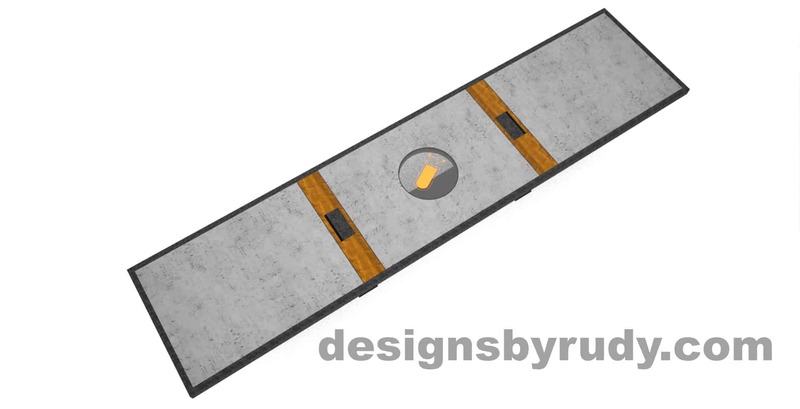 Company logo nested in the center concrete section.